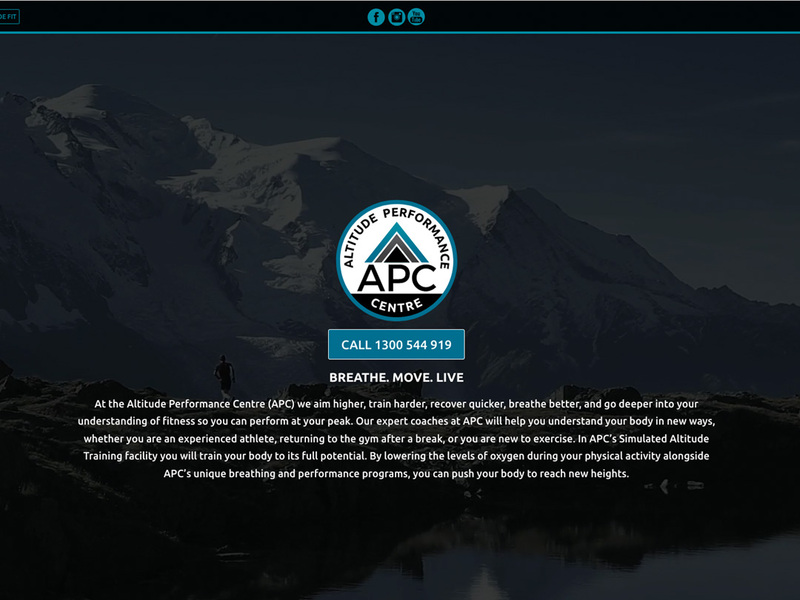 In this article I am pleased to announce that we have recently completed the website design and build for Altitude Performance Centre (otherwise known as APC). 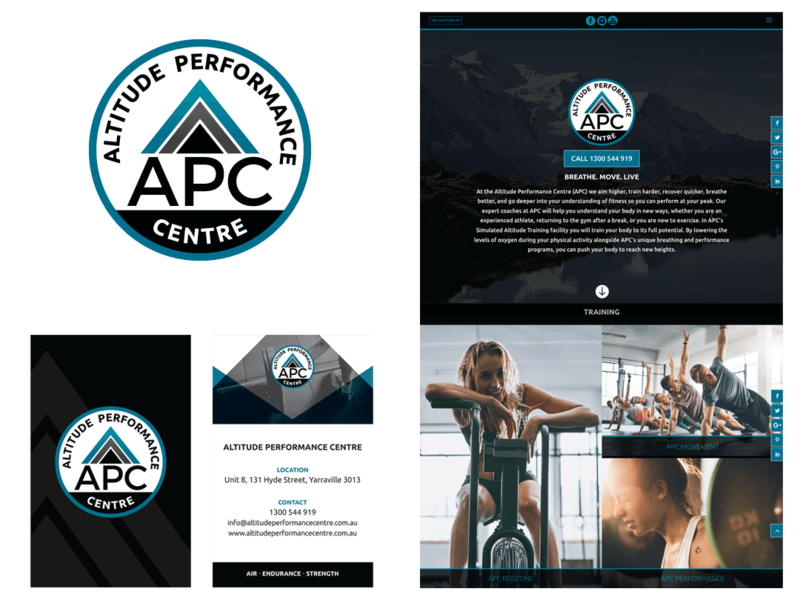 Mark Sketchley from APC approached Pixelfire and asked us to design a logo, website and business cards for his new Melbourne altitude gym. I can honestly say I loved working on this project with Mark because were given freedom to be creative with the design for the whole project. First, we created the logo and decided on the colour palette. Mark already had a good idea how the logo should look but we still created numerous options and finally decided on a retro design using black, teal, grey and white. For the business card design Mark wanted something a little different so we opted for a portrait design. Creating the website design for APC home page was a challenge. We wanted the home page design to be dynamic, informative and included quick links to the deeper pages. The desktop design is very different from the mobile version as it includes a background video which automatically plays. The mobile website version is more succinct with a focus on linking to the classes held at the altitude training gym.